Has your little treasure turned into a toddler who doesn’t seem to be able to ask for something in a normal way? Is the high pitched voice of your four-year-old akin to nails scraping on a chalkboard? You might be wondering what on earth you can do to stop a whining child. You’re not alone. I dare say every parent has been in that position at some point. It can be irritating and frustrating, to say the very least. And once the vicious circle starts, it can be hard to break. Let’s look at some of the reasons why your child might be whining and how to stop it. Why Is My Toddler Whining? What Can You Do to Break the Cycle? This stage in your little one’s development can be a challenge for both you and your child. They can’t yet talk and communicate properly using language. You need to be Sherlock Holmes when trying to find out what is wrong and what they want. Being patient and helping your child to communicate are key when understanding what triggers their whining. This can help you recognize and remove the things that set them off, and better enable you to deal with it. Your toddler is learning a little independence and when all is good in their world, they are happy and content. This can all change in an instant when things don’t quite go according to their plan. It’s like a square peg fitting in a round hole. They know it’s not working but can’t figure out why. Maybe they’re trying to get some clothes on their newest doll and putting the arms into the legs of the romper suit. The clothes won’t go on and it’s not working out the way they expect. Or they could be trying to build a tower out of blocks and it keeps falling over. The expectations your toddler has are not quite working out the way their mind wants them to. This can lead to anger, frustration, confusion, and temper tantrums. Next comes the all-encompassing whining. It’s normal for a child to fail at something when they start playing on their own, and sometimes they’ll figure it out alone. On the other hand, there are times when the frustration becomes too much and they whine because they can’t do it. It could be the toys that they’re playing with are just a little too advanced for them at this stage in their young lives. If that’s the case, remove these toys for a while and replace them with something more age-appropriate. Replace the wooden blocks that fall over easily with larger ones that interlock. Their fine motor skills will still be tested but they won’t get agitated. Replace the doll that has the awkward romper suit with one that just has a velcro diaper. Once they master the simpler skills, then reintroduce the toys at a later stage, maybe a few weeks after. It’s also a good idea to do this when your toddler is not tired or hungry. They’re likely to be more patient when other things aren’t distracting them and they’re well rested with a full tummy. If the whining does start again, then why not spend some time with your child helping them achieve what they’re trying to do? Alternately, switch activities to outdoor play or reading together, to calm them again. What Happens When You Can’t Eliminate the Cause of Their Frustration? There are going to be times when things are out of your hands and you won’t be able to resolve the cause of your child’s complaints. You could be sitting in the waiting room at the doctor’s office when your child gets bored and starts whining. This is when you need to console them and empathize with how they’re feeling. Let them know you accept they are bored and tell them you don’t want to be there either. Explain the importance of why you’re there and why it’s necessary. This will teach your child that there are times when we all have to do things we don’t want to. Teaching a toddler to adjust to the realities of life can be a tough call. We can’t, and shouldn’t, always give them what they want. The trick is to meet their needs without jumping through hoops to do so. Just because they demand a certain type of cookie, don’t cave in. You might offer them a peanut butter cookie and they start whining because they want chocolate chip. Don’t give in, be sympathetic towards them, and explain there are times when we don’t have choices. Up until now, your little one has communicated that he or she needs something by crying. Whether it was comfort, food, or a diaper change, it’s what you responded to. They haven’t learned to talk yet and whining is the next best step as far as they’re concerned. Talk to your toddler frequently, giving them a chance to develop speech. Sign language and pointing are often good places to start. When you use a word for a particular item, work out a sign for it and use it as you say the word. This type of communication might be easier for them to adopt in the short term and prevent some whining when they want something (source). Teaching them “yes” and “no” are also beneficial. To do this, you can nod or shake your head. When you offer something, ask them if they want it. The response might be a loud whine or a big smile. Depending on what it is, back this up. For example, when offering your toddler a drink, ask them if they want the drink. If it’s obvious they don’t, then tell them “no drink.” If they do, then tell them “yes drink.” Shake or nod your head accordingly as you say the negative or affirmative answer. This can lead to you just being able to ask “yes or no” questions to get an appropriate response. You can eventually just ask your toddler to tell you “yes” or “no,” instead of whining. Toddlers are constantly learning during their transition from being a baby to a child. It’s going to be trial and error on their part as to what works. Set the boundaries and don’t give in to your toddler when they’re whining. If you do, they’ll think this is acceptable behavior whenever they want something. It’s going to be a tough call sometimes, but keep working at their communication skills. Try and prevent the whining whenever you can, by giving your child age-appropriate toys. This will reduce the chances of frustration. The other thing you need to do is watch your own reactions to whining. Yes, it’s annoying and grating, but don’t capitulate just because it’s getting to you (source). Once your toddler gets a little older and learns to talk, the lines of communication are easier. It doesn’t mean they won’t whine when they want something or don’t want to do something, but it will start to wane. Whining tends to peak between the ages of two and four years – the “terrible twos,” troublesome threes, and fretful fours. While it’s a natural reaction to become annoyed and frustrated, shouting at a child to stop whining is not the best way to deal with it. Patience, empathy, and compassion will get you better long-term results. They want your attention: It’s back to the crying and response from being a baby. Your child might be tired, hungry, thirsty, or in need of a diaper change. They know that whining might be the fastest way to get your attention and a reaction. They want some one-on-one time: Your child might want you to take some time for them, playing, reading, or doing some other activity. They might just want a cuddle and some comfort. They’re reacting to you: Negativity and conflict in your home can result in a whining child. Your stress levels and emotions can rub off on your child. They’re expressing their emotions: Whining could be a way your child is letting you know they’re disappointed or sad. They want your support, acceptance, and acknowledgment of their feelings. They might be feeling overwhelmed and need you to calm them down. 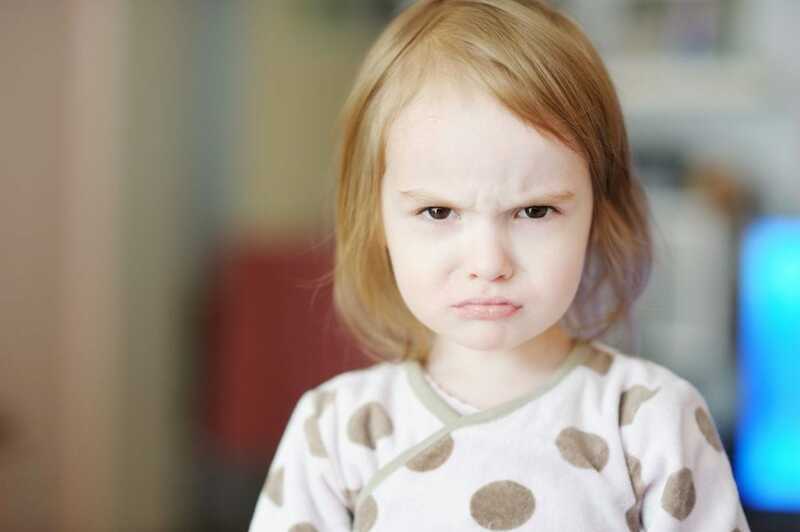 It’s their temperament: Some children are feistier and have stronger personalities than others. They might be sensitive and react adversely to change. Whining could be their way of coping with changing experiences as they develop. You aren’t giving constant reinforcement: If you give in to a child every now and again when they whine for something, they learn this works. They whine to go to bed later or want candy after a meal, and you let them have it. If you or another caregiver allows this, then they’ll likely do it again when they want something. There a few steps you can take to help stop an older child whining.The main thing here is to stay calm and smile, don’t let your child see the whining is getting to you. If this means taking a deep breath before dealing with your child, then do so. One way of getting your child to ask nicely instead of whining is telling them you can’t hear them when they whine. Smile at them and tell them your ears don’t work properly when they whine, and ask them to use their big boy/girl voice (source). If your child continues to whine, try again, and remember that smile. Tell them you know they’re talking to you and saying something, but your ears still aren’t working. Again, ask them to use their big girl/boy voice. When the child speaks without whining, be positive and thank them and tell them you can hear them now. Explain that your ears don’t like the whiny voice and are happy when they use their nice voice. If the behavior continues, then turn away while your child carries on whining, and ignore them until they speak without whining. This could lead to a situation where they start crying. If so, explain that you want to hear what they’re saying but your ears need help. When your child makes an effort to improve the way they’re communicating, give them positive reinforcement. This method can slowly improve their behavior. In the early stages, it can be worth rewarding them somehow when they react positively. It’s important that all caregivers follow the same method to reinforce good habits. The more consistent you are, the quicker you’ll see positive results. When your child is calm and quiet, let them know that when they whine you won’t respond to their request until they ask nicely. Make sure they understand the difference between a whiney voice and a nice voice. Maybe record both and play it back to them so they recognize the difference. Positively reinforce the use of their nice voice. Praise them for asking without whining. It helps to establish whether there’s a legitimate reason for their upset, especially if they’re whining and not talking. If there is, eliminate it and carry on. Think about when they last went to the toilet, slept, ate, or had a drink. Don’t cave in while they’re whining. Wait until they’re calm before giving them the toy, candy, or whatever it is they want. Avoid yelling at your child or showing you can’t cope. There is little doubt among parents that whining, while a common behavior, is annoying and frustrating. The main thing to take away when dealing with it is to remain calm, smile, and don’t let it get to you. It might sound easier said than done, but the only way to break the habit is to help your child communicate in a calmer fashion. Give them praise when they ask nicely for things, or when they want help. Remember, all caregivers need to be consistent when dealing with whining children. We hope you enjoyed our guide to how to stop a whining child and picked up some useful tips. Please leave us a comment with your thoughts and experiences, and don’t forget to share with other moms.